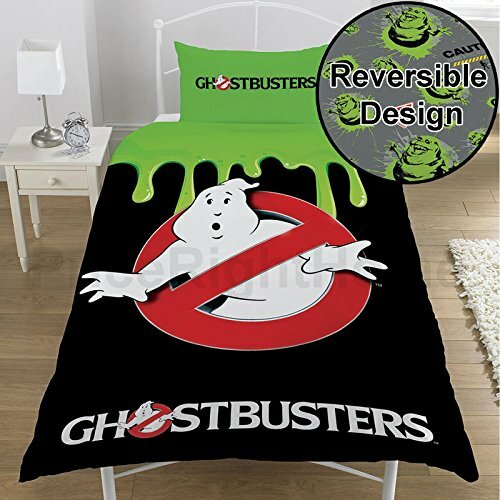 If you 'ain't afraid of no ghost' then this official Ghostbusters Single Duvet Cover is the bedding set for you! The design features the classic Ghostbusters 'No Ghost' logo on one side, with extra glow in the dark detailing. The reverse of the duvet cover features Slimmer in a repeated pattern. Made from a Poly-cotton blend, this bedding set is suitable for machine washing and tumble drying on a glow setting. If you have any questions about this product by Ghostbusters, contact us by completing and submitting the form below. If you are looking for a specif part number, please include it with your message.